Erik Paliani was born on September 3, 1975. He is a guitarist, composer and producer. He is also known for his versatility in the recording studio and his experience in corroborative work, a result of having experienced music in several different countries but also because of his involvement in Acacias. Five years ago, Paliani received reviews for his work on South African diva Zamajobe’s 2004 debut Ndawo Yami. 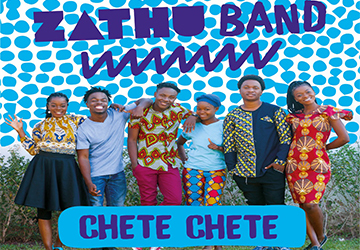 He replicated the same magic on Zamajobe’s second album Ndomi Yamazi in 2008 and it was a matter of time before great Masekela went searching for the Chilomoni-bred music prodigy.